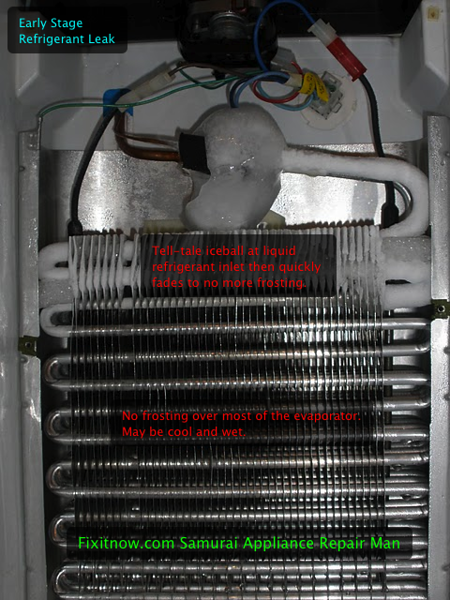 If the beer is getting warm in your refrigerator or the ice cream is melting in your freezer, the first thing you’re gonna want to do is get some eyeballs on the evaporator coil. The evaporator is the aluminum coil hidden behind a panel in the freezer compartment that makes all the cold air in your fridge. Side x Side, Top ‘n Bottom, French Door– doesn’t matter what kind of refrigerator you have, it will have an evaporator coil. That evaporator coil is supposed to run at a temperature somewhere around -10℉. Well, it don’t take a nucular fizzicist like yours so very freakin’ truly to realize that, at that temperature, the coil will choke up with frost and ice in no time. 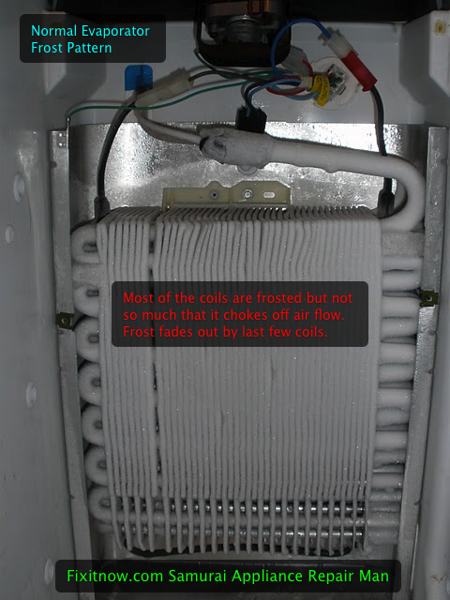 When that happens, air can’t flow across the coils and get chilled so no cold air circulates throughout the entire box. Now we’re talkin’ warm beer. Another thing that’ll make warm beer is if the evaporator coil doesn’t get cold enough. This usually means either the refrigerant has leaked or there’s a problem with the compressor or condenser fan motor— the one back in that cubby near the compressor. 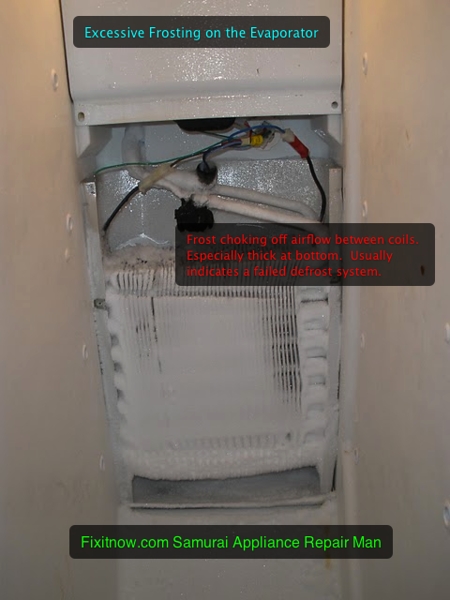 This entry was posted in Refrigerator Repair on February 25, 2011 by Samurai Appliance Repair Man.